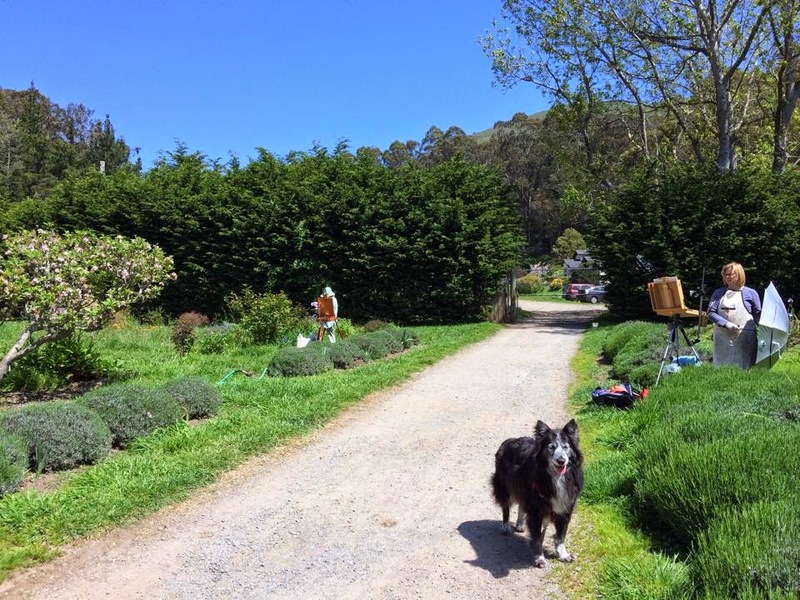 Artists made it out to Green Gulch Farm(a Member of Marin Organic) for our inaugural artist visit of 2014 this past weekend. Among those noted were Nancy Thomson of Tiburon, Muriel Shcmalberg Ullman of Sausalito, and a new member, Nancy from Petaluma. It was a warm, pre-summer day; hot in the sun, but a little too cool in the shade- Good thing we had both. I was there with my "zen dog", Mesa, and we enjoyed the long walk down to the gardens from the upper lots. 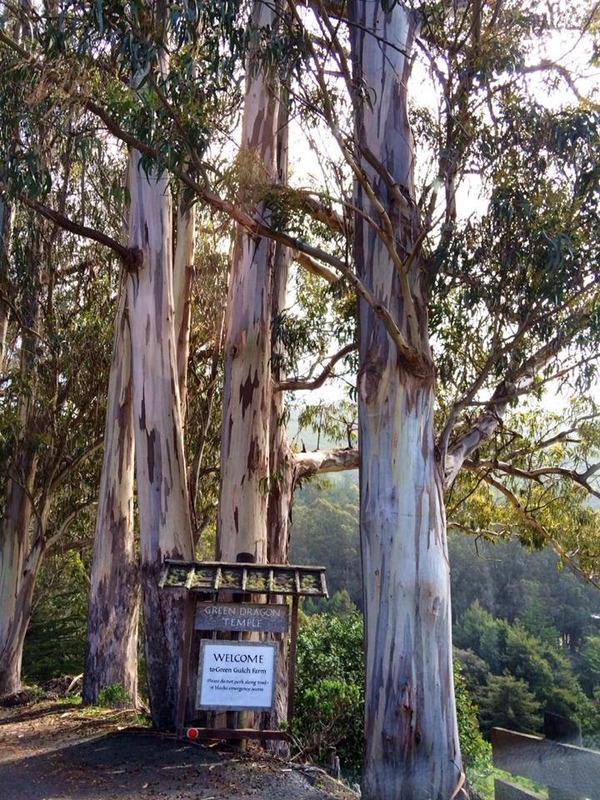 It's a special location, moving from Eucalyptus trees and forest out through the valley to the coast. 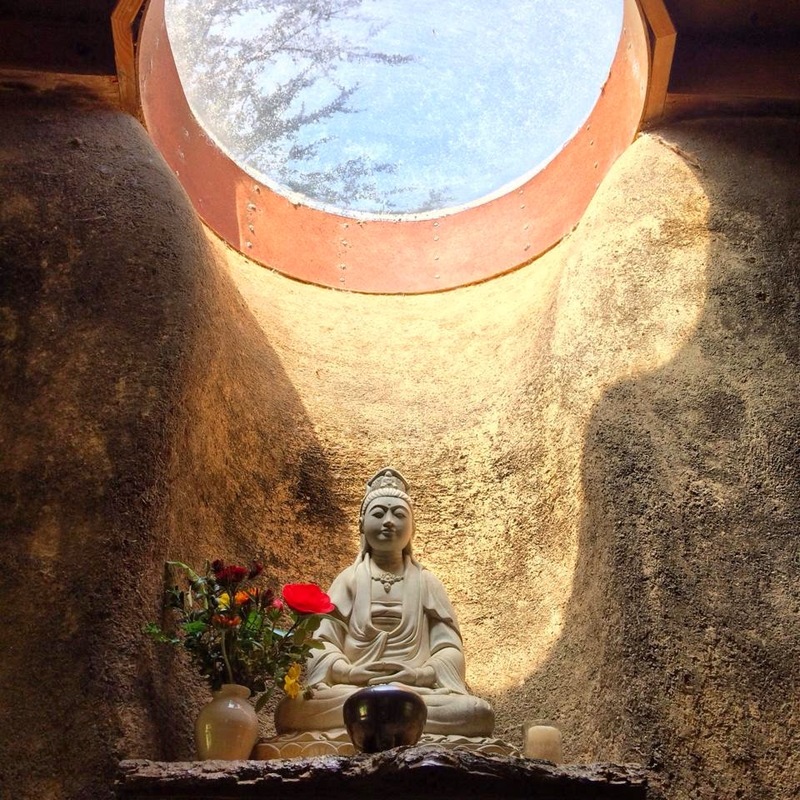 There was a morning Dharma Talk when we arrived, so we had to tiptoe past quietly. As some of us left, there was a work party going on in the afternoon. 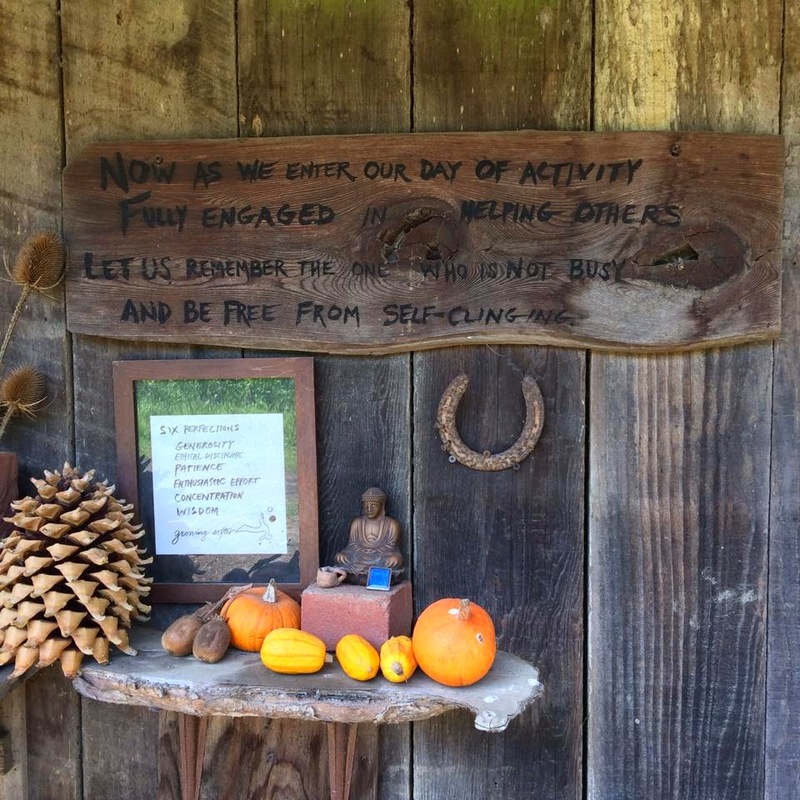 Thank you to the managers at Green Gulch for letting us create in this peaceful spot for a day. 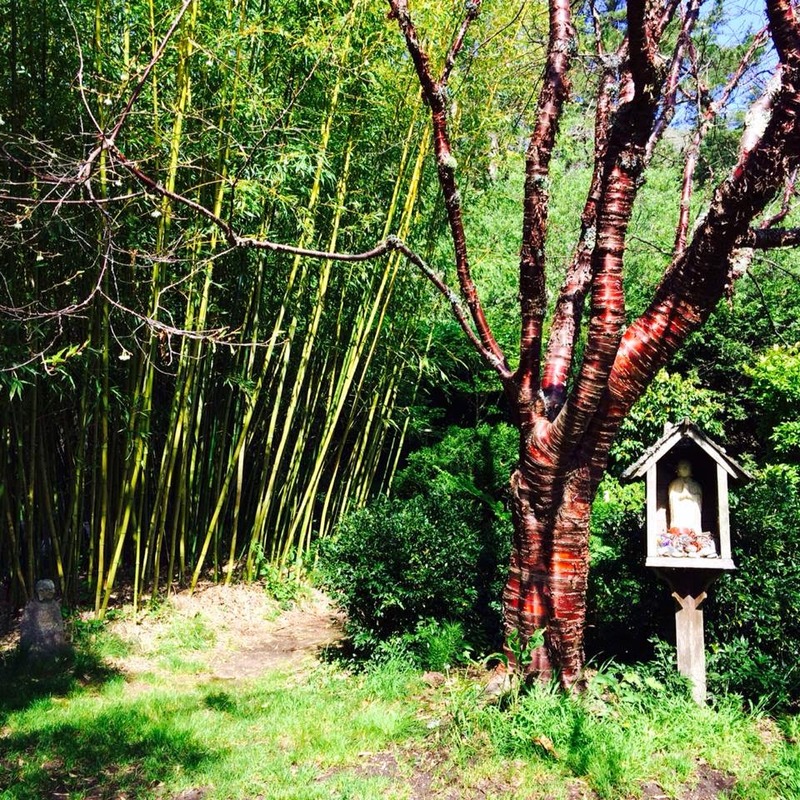 I learned much from the signs of Buddhism around the property. We saw bikes, horses, families and day hikers. 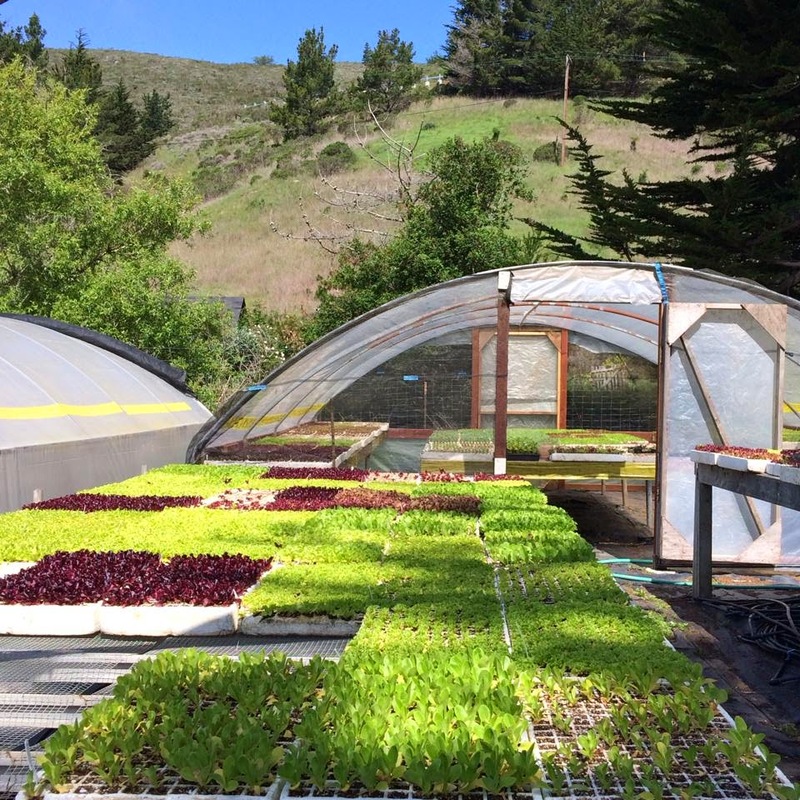 The Green Gulch Nursery offers organic plants and starts available for sale. There were many plants and they looked healthy and new. Please contact the Green Gulch Office for more info, or to volunteer. 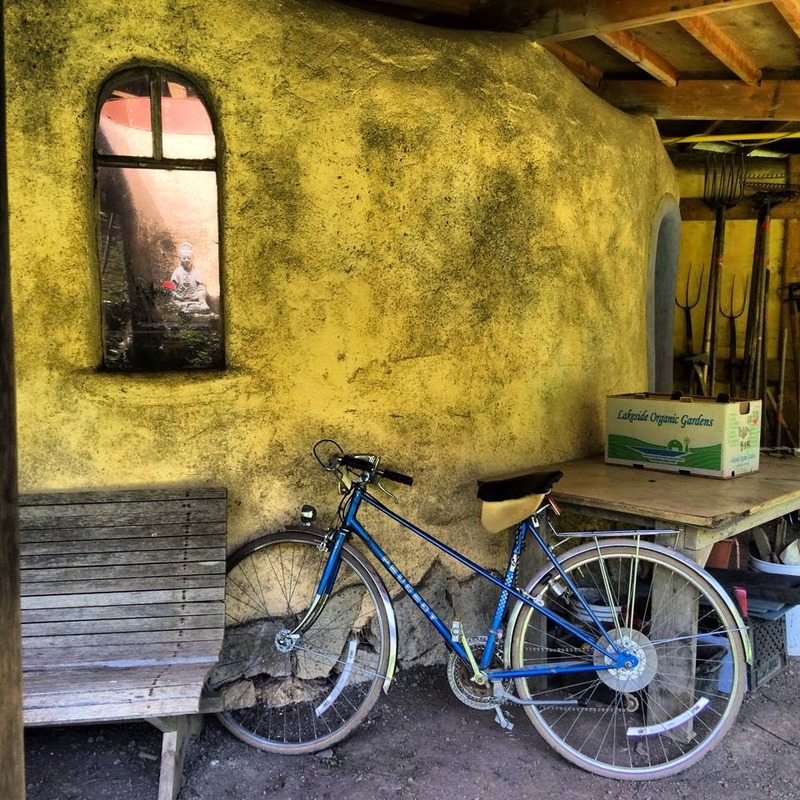 Our next visit will be to Toluma Farm + Tomales Farmstead Creamery on May 25, 2014. Let us remember the one who is not busy, and be free from self-cling-ing." View more photos from this visit on our Facebook Page for Art on the Farm, or on Meetup. 2014 Artist Visits Begin April 13 + Find us on Meetup! 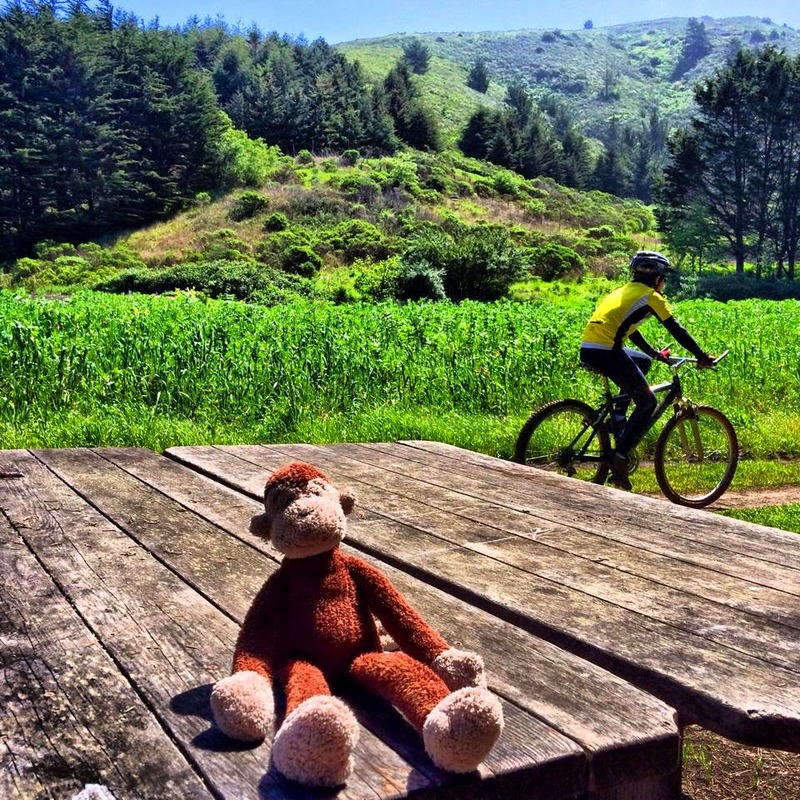 Our first visit of 2014 will be to Green Gulch Farm. Click the Schedule Tab above for more information, or click here. 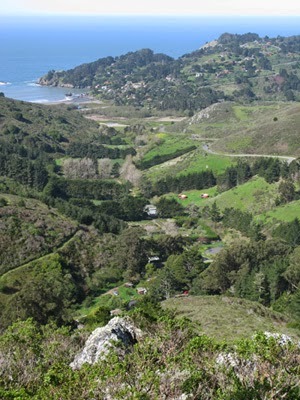 Green Gulch Farm is located in a valley that opens out onto the Pacific Ocean. 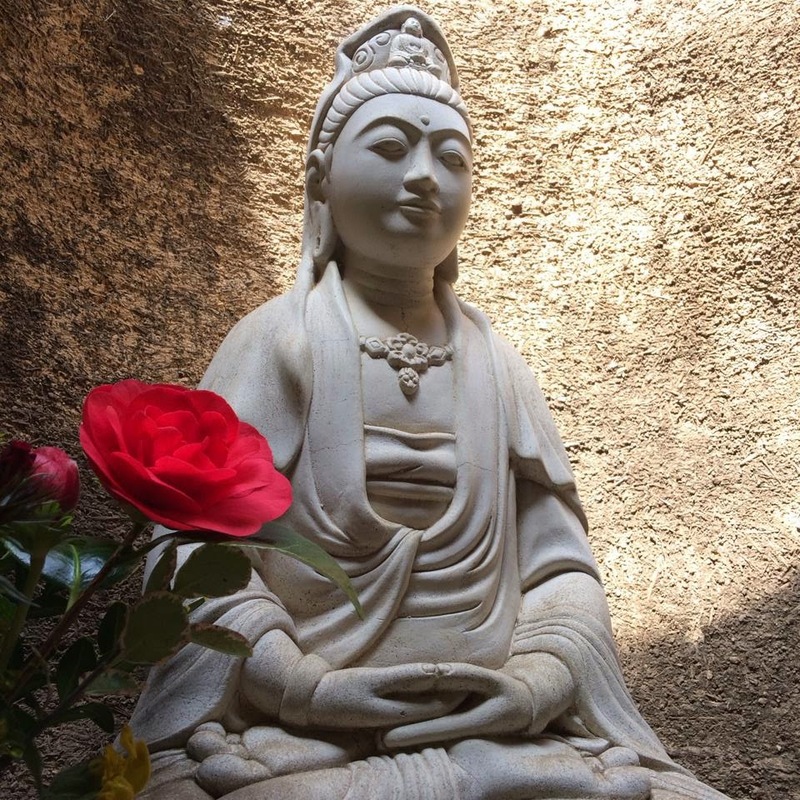 In addition to the temple program of zen and study, it includes an organic farm and garden, as well as a guest house and conference center. 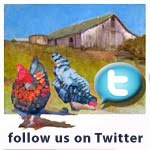 View a Farm Slideshow from Green Gulch. Note: all artists who attend must sign a waiver and mail it to Marin Organic. ***NEW: We have joined "Meetup". Cost to maintain Meetup is $144. annually. We are requesting a $5. donation on that site, which appears as "Membership Dues". You are not required to pay this to join, but it is suggested to off-set out-of-pocket costs to the volunteer coordinator. Know a local business that would like to sponsor our Meetup Group? We can promote them on Meetup, our website, Twitter and at exhibits. Contact us here to become a Sponsor. Click here to join the Meetup Group, which will alert you of upcoming Farm Visits this year and allow you to arrange car pools with other artists share your art and more. "Meetup" has an app for your phone so you can easily keep groups, members, directions handy for all of our meetings.